← What could you do with 1K? 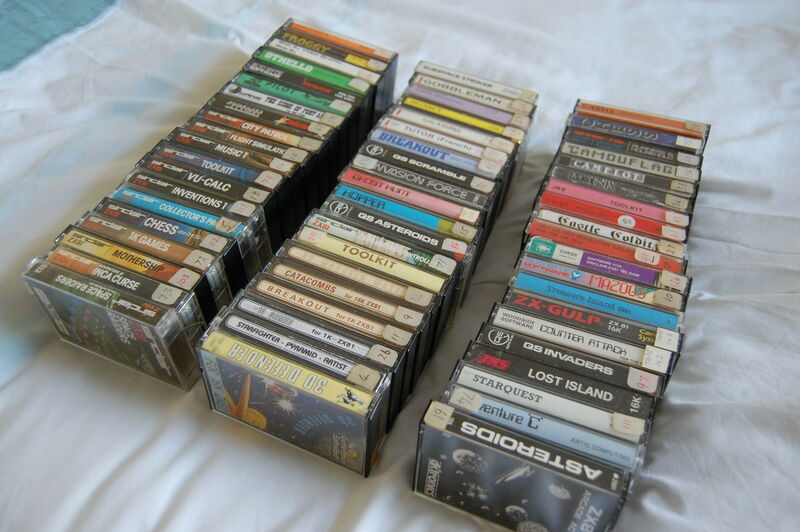 My posty delivered a nice fat chunk of retro heaven today, a whole bunch of ZX81 tapes from a single ebay win. This entry was posted in computing, gaming, retro and tagged asteroids, cassette, defender, mon, monster maze, retro, sinclair, zx, zx81. Bookmark the permalink. Hope you have fun with this lot. I will have fun, thanks mate!